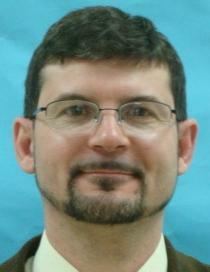 Philip Wingeier-Rayo is associate professor of religion at Pfeiffer University in Misenheimer, North Carolina. He teaches in the areas of theology, missions, and cultural anthropology. Wingeier-Rayo is the author of Cuban Methodism: The Untold Story of Survival and Revival (Dolphins and Orchids, 2006) and Where are the Poor: An Ethnographic Study of Base Christian Communities and Pentecostalism in Cuernavaca, Mexico (forthcoming from Wipf and Stock Publishers, 2010). While boarding an airplane for Cuba, one of my students turned to me and said that this was her first time on an airplane. Then another said “Me, too,” and yet another, “Same with me.” Not only was this the first time out of the United States for all but one of these nine undergraduate students, but it was the first time on an airplane for three. Right there on the jet-bridge, I whipped out my camera to document this historic occasion. The flight attendant welcomed the first-time fliers onto the plane and even posed for a snapshot. Suddenly I felt a heavier weight of responsibility on my shoulders to chaperone inexperienced travelers on an international service trip, especially to a country like Cuba! But I also saw an incredible window of learning opportunities. In my undergraduate religion classes at Pfeiffer University, I include the course objectives of encouraging critical thinking and civic engagement. When attempting to teach these skills, it is crucial to encourage students to examine their assumptions. Yet this is easier said than done. This is particularly the case at my institution, where 50 percent of the undergraduates are first-generation college students, and 80 percent of the students come from within a fifty-mile radius of North Carolina’s central Piedmont region. My theory is that many prospective students choose a college close to home precisely not to challenge their assumptions. This context makes recruiting students for international service trips all the more challenging, but at the same time, all the more rewarding. The background of my students places my course objectives directly at odds with my students’ goals (and perhaps their parents’ fears). While it is possible to teach critical thinking and civic engagement in the classroom through reading and videos — I also like case studies — I find that there is nothing like traveling outside one’s own country to experience another culture. The objective of this particular international service trip was for the students to challenge their assumptions and prejudices through personal interaction with Cubans in the context of a service project. The first-hand knowledge of the Cuban situation, enhanced by personal encounters with Cubans, facilitates cognitive dissonance in which original assumptions are challenged with the acquisition of new information. Naturally we did see hardships and shortages of basic commodities like medicine, which led to good discussions about the Cuban health care system, and eventually to the topic of the United States embargo. We hand-carried our donations of medicines into Cuba and were able to distribute them to medical personnel. One disturbing fact that students wrestled with is that the embargo includes medicine. Even at the height of the Iraq war, the United States never restricted medicines to Saddam Hussein. This and other troubling facts about United States foreign policy contributed to cognitive dissonance regarding what our government has told us about Cuba. The next step is to move from critical thinking to civic engagement. Upon returning, most students were committed to writing to their elected representatives and to seeking speaking engagements in churches and civic organizations. Having completed the international service-learning program, the primary difficulty that I have as an instructor is how to assess this follow-up civic action as part of the course. And then again, if it is required as part of the course (read coerced), then have I accomplished the learning objective of civic engagement or simply exerted power over students to fulfill an assignment? This leads to a larger service-learning question: how can we assess the learning outcome of civic engagement if it is required as part of a course?